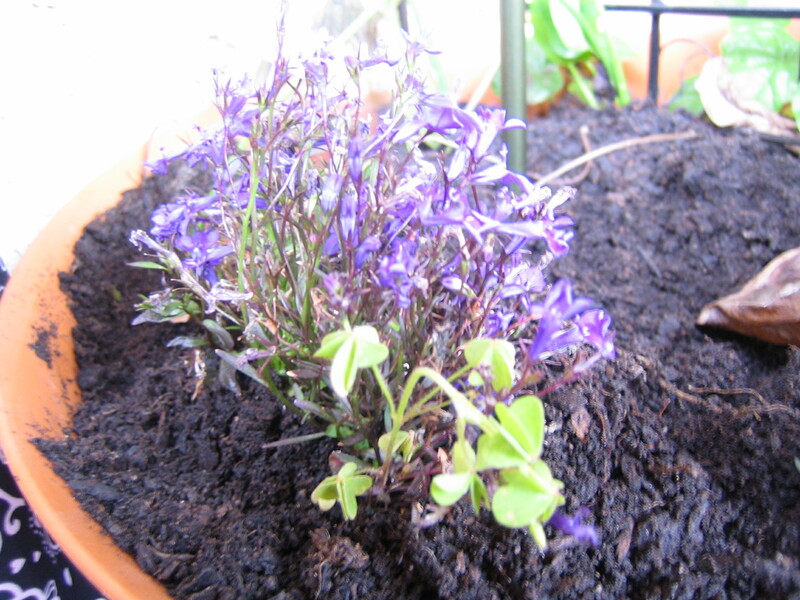 Georgia Blue Speedwell (I think) – found growing wild in the grass, so I pulled it up and planted it in a container. One of the few flowers left on the scarlet runner beans. 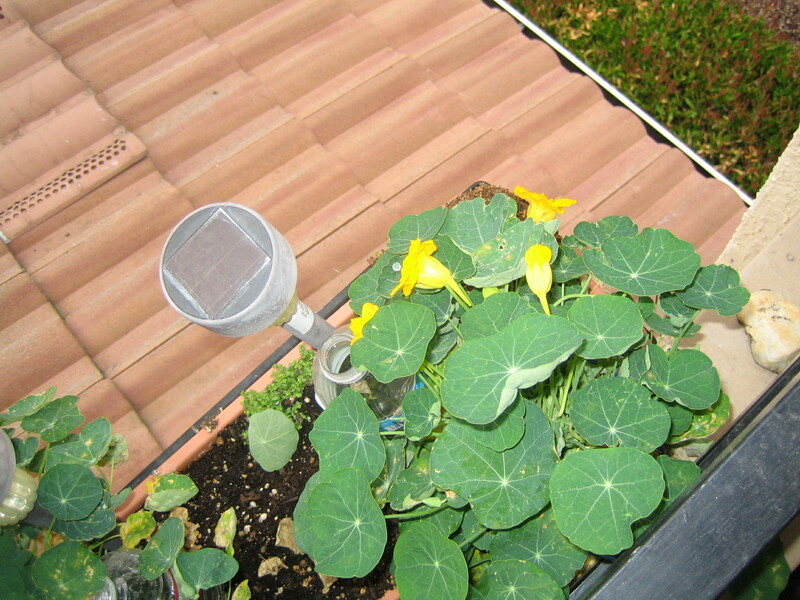 yellow nasturtium taken from above. cut flowers in my water feature. 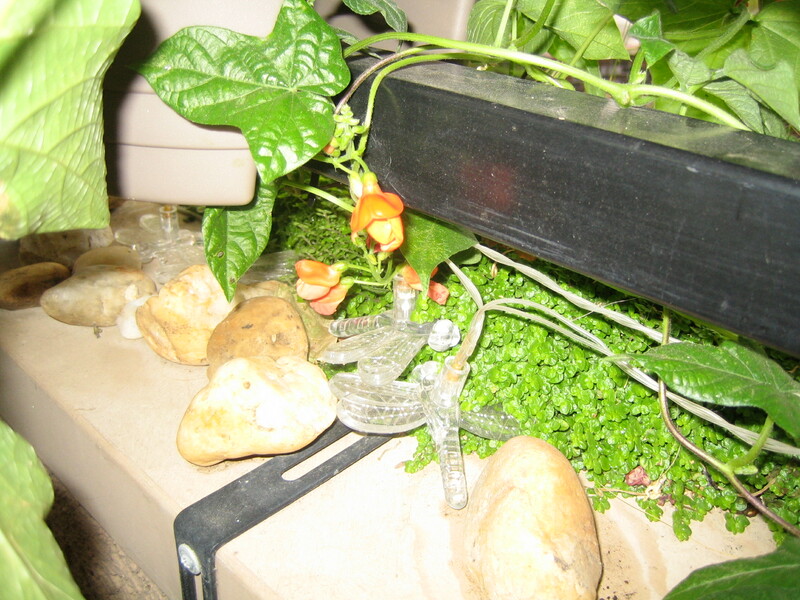 (includes jasmine, nasturtium, zinnia, Melissa and some unknown found along the paths of life. nasturtium with ornamental grass. The nasturtium was starting to lean so a small bit of yarn is being employed to keep it standing upright in the window box.